I’ve been busy canning, preserving, cooking and basically dealing with fruit in rather large quantities. Many of said fruit came from our own backyard and many were eaten raw before I could even think what to do with them, but most of that ended up in jams, cakes, juices and I don’t even know what else. 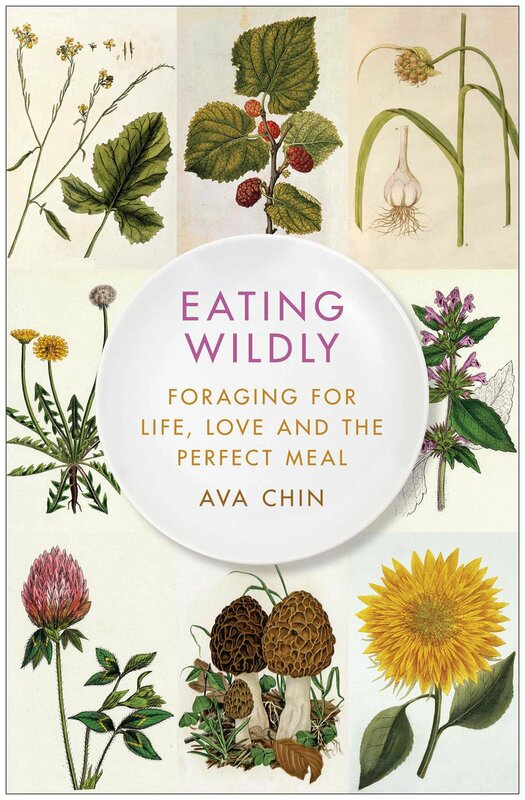 But since I read “Eating Wildly” I must admit I developed a mild obsession with foraging. And where we live there are forests and parks with fruit, nuts and leafy stuff galore. If we pay attention, we never come back home empty handed. I admit I don’t know very much about plants myself. I am in no way an expert and am only able to recognize the most common edible plants. But I’ve learned a lot and must say it’s a lot of fun. But I still want to encourage you to buy yourselves a good guide on wild plants. 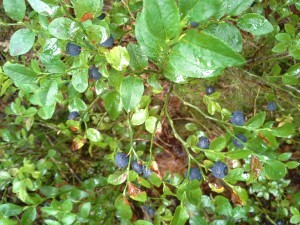 These are bilberries, the blueberry’s smaller and dirtier European cousin. 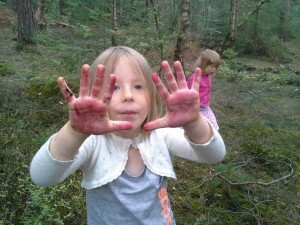 This is how your hands look like after plucking bilberries. And this is a boletus mushroom. Unfortunately, the worms got it before we could. To collect plants, you need to know how they look like. You need to be able to differentiate between very similar plants. This is important because an edible berry and a poisonous one can look very much alike (I’m very careful with berries and mushrooms for that reason). Also, you have to know that some plants are poisonous (or just plain unpalatable) when eaten raw but very flavourful and delicious when cooked or boiled. And of course, don’t forget about the basics: where does this plant live? Where to look for it? Different plants prefer different environments so keep that in mind. 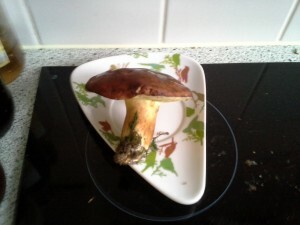 And if you’re not sure whether something is edible, just let it be. Know when to pluck the plants- for example ramps (a type of wild garlic) can only be plucked before they bloom- and it doesn’t make sense to search for fruit when the trees are still covered in flowers. In any case, please inform yourselves before you set out. One day we came across a wonderful field of bilberries but were absolutely not prepared for it. Luckily, we used an empty milk bottle and also put a boletus mushroom into an empty wipe box, but now we don’t leave the house without several plastic containers. Good and comfortable boots, weather- appropriate clothing and a bottle of water is always a good idea. You can also take a good guide with you to make sure you get the plants right. And of course, insect repellent (after all you’re not the only one who lives fruit) and sun screen is always a good idea. We also take a foldable guide with us, just to make sure we’re looking for the correct plant. Not every plant will be exciting and enticing. Actually, many edible plants look unassuming and boring. But it doesn’t make them any less delicious; you just need to know how to prepare them. Read up on the plants (the Internet has lots of information about this) and find out how much you can do with them. It can be as simple as adding a few daisies to your salad or more complicated like making jam from dandelion flowers. Experiment, try out new things and enjoy it. Foraging is possible, even in a city – urban areas often have lots of green areas like parks. You’ll be surprised what grows in parks if you know what to look for! Ava Chin, author of “Eating Wildly,” finds all her delicious plants in the parks of New York. 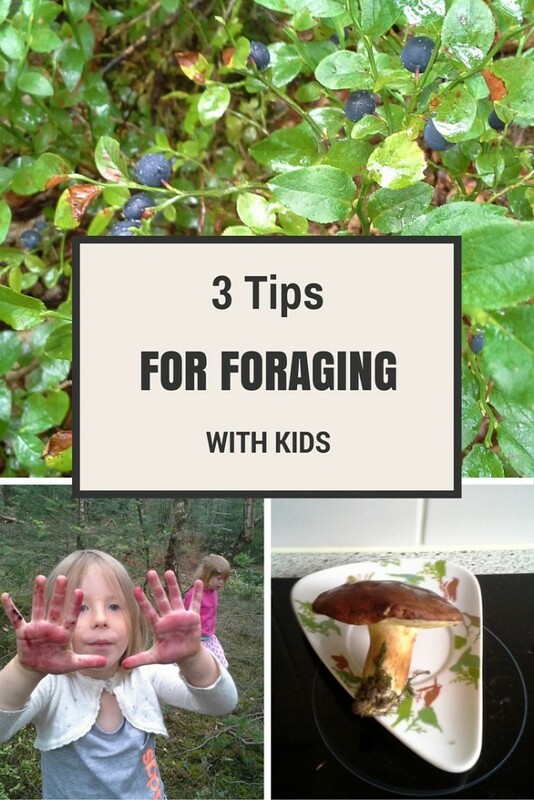 And if you can, take your kids on a foraging trip- not only will it be educational but I’m sure they’ll also enjoy collecting the plants and later preparing and eating them. Not to mention the fact that you’ll be taking them outside to play so they’ll be tired, hungry and more or less well-behaved afterwards.